A regal and modern stay close to nature in Nainital. Hotel Rama Blue Point makes your experience in Nainital pleasant and relaxing. The rooms are spacious with wooden and modern decor adding warmth to the place and makes it feel just like home. The minimalistic rooms make for a soothing stay. The plush sofas are a delightful addition to the room. The hotel has amenities for everyone ranging from a playground for children and seating area under the open sky with a view to relax and refresh. A conference room is available for guests to work in peace and organize different events. Facilities offered by the hotel include laundry, CCTV cameras, parking space and power backup. 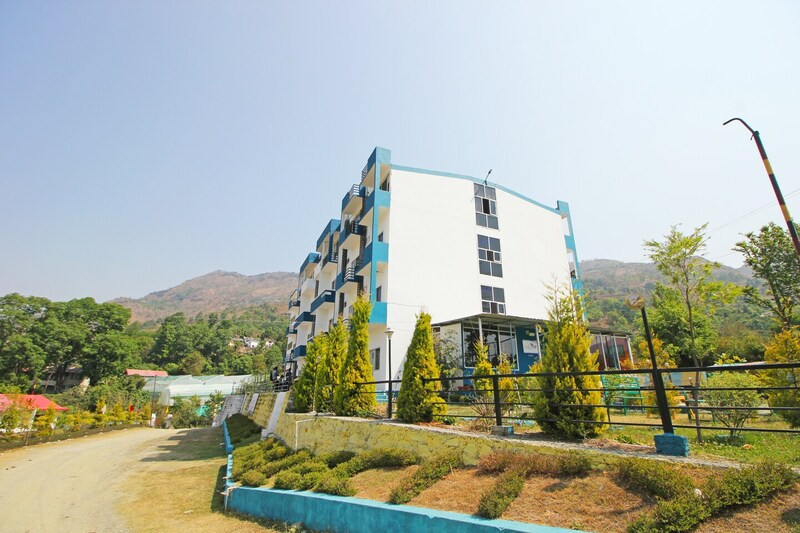 Club Mahindra Naukuchiatal, Uttarakhand, Karkotak Mandir, and mathpal's Museum And Art Gallery are in close proximity to the hotel.